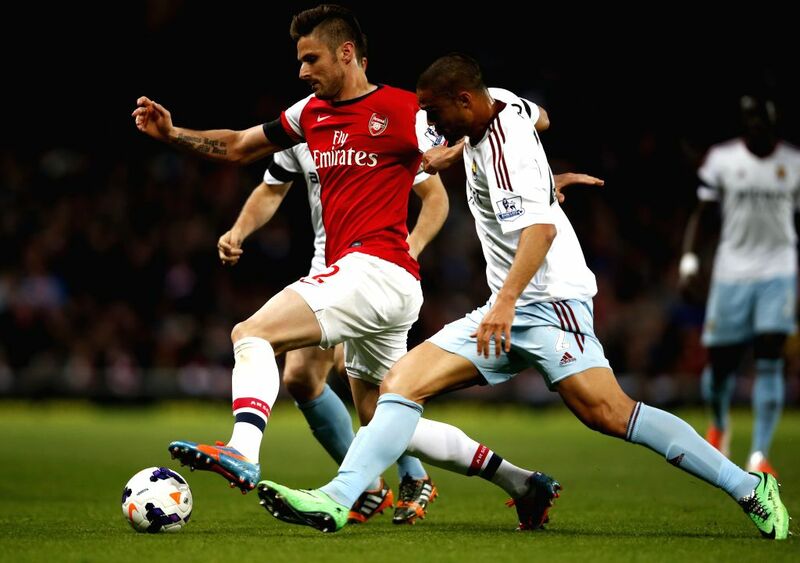 LONDON, April 16, 2014 - Olivier Giroud (C) of Arsenal vies with Winston Reid(R) of West Ham United during the Barclays Premier League match between Arsenal and West Ham United at Emirates Stadium in London, Britain on April 15, 2014. Arsenal won 3-1. (Photo: Xinhua/Wang Lili/IANS) . 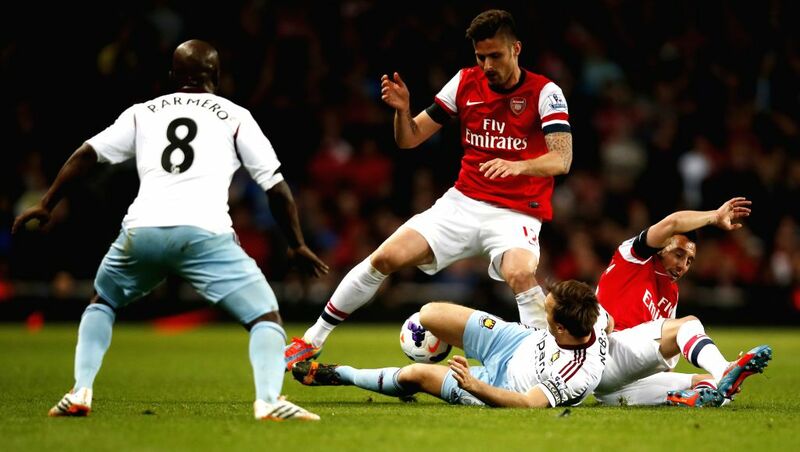 Olivier Giroud (2nd L) and Santiago Cazorla (1st R) of Arsenal vie with Mark Noble (2nd R) of West Ham United during the Barclays Premier League match between Arsenal and West Ham United at Emirates Stadium in London, Britain on April 15, 2014. Arsenal won 3-1. (Photo: Xinhua/Wang Lili/IANS) . 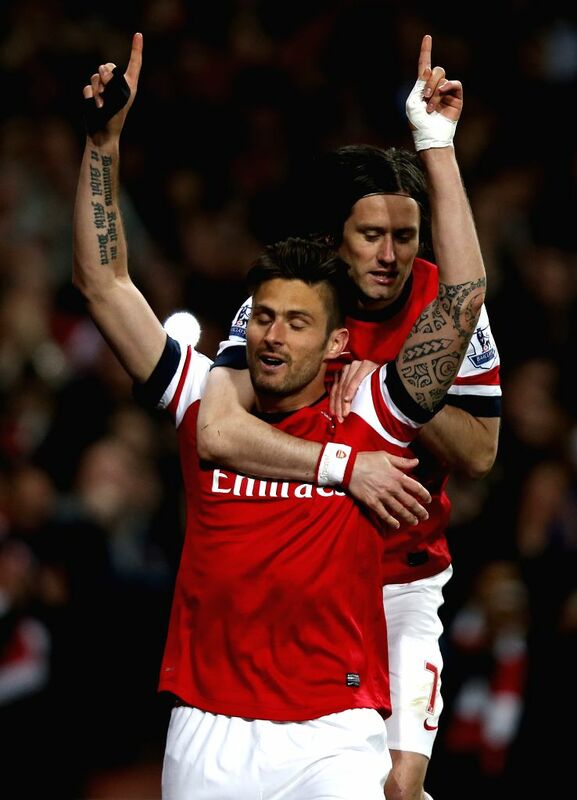 Olivier Giroud (L) of Arsenal celebrates scoring with teammate Tomas Rosicky during the Barclays Premier League match between Arsenal and West Ham United at Emirates Stadium in London, Britain on April 15, 2014. Arsenal won 3-1. (Photo: Xinhua/Wang Lili/IANS) . 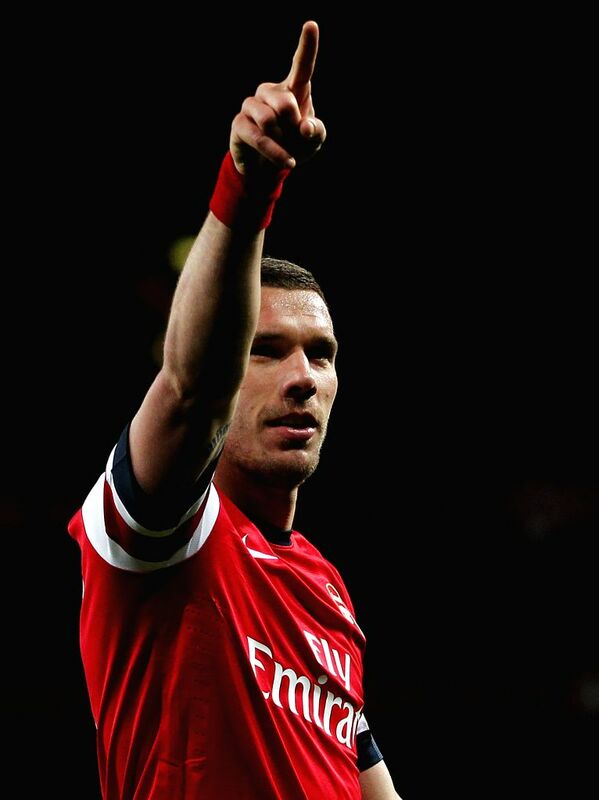 Lukas Podolski of Arsenal celebrates scoring his second goal during the Barclays Premier League match between Arsenal and West Ham United at Emirates Stadium in London, Britain on April 15, 2014. Arsenal won 3-1. (Photo: Xinhua/Wang Lili/IANS) . 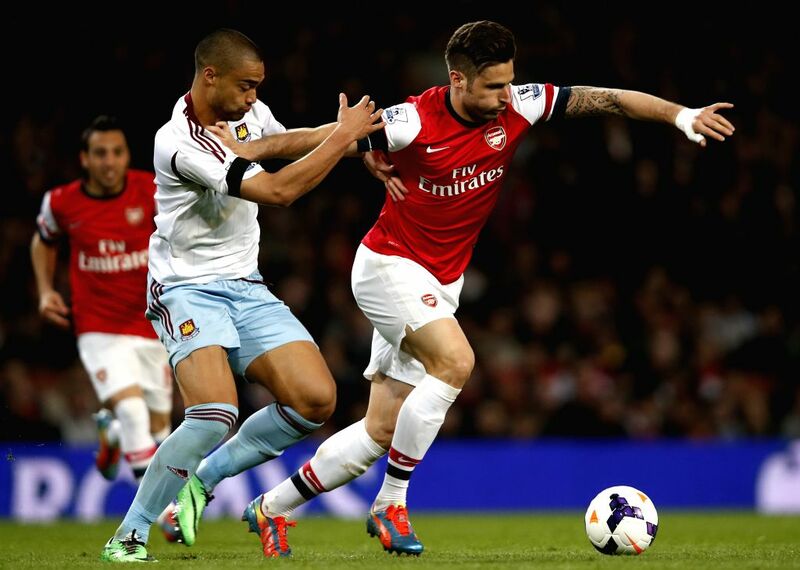 Arsenal and West Ham United players observe a minute's silence to mark the 25th anniversary of the Hillsborough disaster ahead of the Barclays Premier League match between Arsenal and West Ham United at Emirates Stadium in London, Britain on April 15, 2014. Arsenal won 3-1. (Photo: Xinhua/Wang Lili/IANS) .